Can you be too popular? 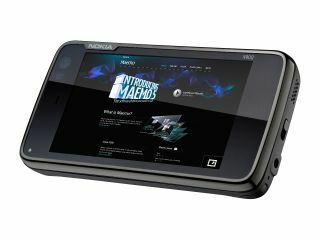 Nokia has been forced to delay the release of the Nokia N900 due to the massive demand for the Maemo 5 device. According to the ever-excellent Nok Nok, there will be a week tagged onto the wait for anyone who hasn't already pre-ordered the Linux-based Maemo phone. Of course if ever there was a good reason for a delay to a manufacturer it's probably when the demand outstrips supply. Apparently sales through Nokia Online, and the Nokia stores across the UK, have left handsets supplies severely depleted. "Working on a strict first-come-first-served basis, anyone who has already pre-ordered the Nokia N900 should receive their device starting from today," adds Nok Nok. Why the huge demand? Well with the device running the Maemo 5 OS and sporting the ARM Cortex A8 processor and 32MB of RAM, it's certainly squarely in the desirable category – even priced at £499 SIM free. As our hands on review of the Nokia N900 said: "We disagree with Nokia that this is more a mobile computer than a phone - it's a smartphone and a very good one at that. "We're looking forward to seeing how well it performs in practice, but early indications show Nokia might have just brought out an OS to save its skin in the nick of time."